Kate Harrison came to talk to West Sussex Writers several years ago – and when dismantling the mountain of books piled beside my bed which was starting to pose a serious danger to my small grandson, I discovered this book near the bottom and decided to give it a go as a break from all the science fiction, fantasy and crime I’ve recently been reading. Tess – nicknamed Tip Top Tess by her father when she was a little girl – has been left by Barney, her husband of seventeen years. Now thirty-something and childless, she is just about holding Life together. Depending on what you define ‘holding it together’. She manages to get to the primary school every day where she teaches. But the house that she and Barney shared – the house they spent hours and money decorating – is currently swamped in empty bottles, takeaway cartons. I’m not for one minute suggesting that is Harrison’s view. Those of you who recall her visit to West Sussex Writers’ several years ago, will rememberl that she came across as a switched-on, organised person with a strong work ethic. After reading several reviews, I was expecting something a lot fluffier than the sharp-eyed observations Harrison serves up. If you enjoy Maeve Binchey’s work, I would suggest that Harrison is a younger version. Quite upbeat, but capable of leaving you with some unexpectedly knotty issues along with the apparently happy ending. The one thing that struck me, was the copious quantities of booze the characters all got through. Tess hits the bottle hard when depressed after Barney’s desertion, but also knocks it back in great style when she’s celebrating. Tess is a strong, well-rounded character whose apparent flaws only serve to make her more believable and I also enjoyed the supporting cast. 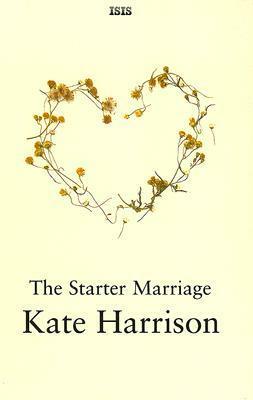 The story unfolded with plenty of pace and while I’m not sure that Harrison actually manages to produce a blueprint for recovering after the death of a long-term relationship, she certainly has produced a thought-provoking, entertaining book on the subject.